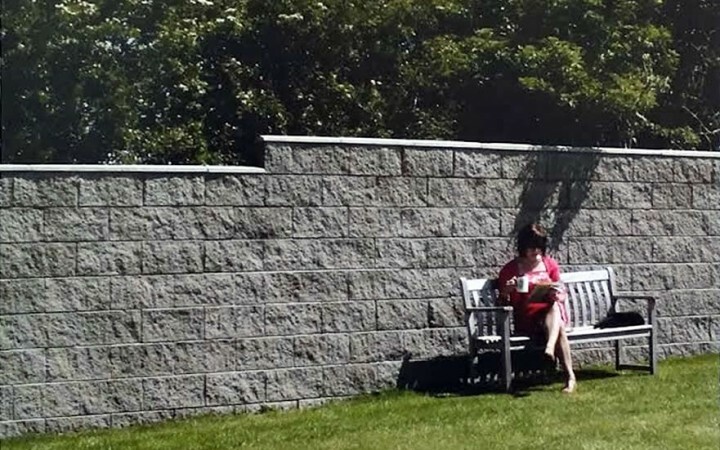 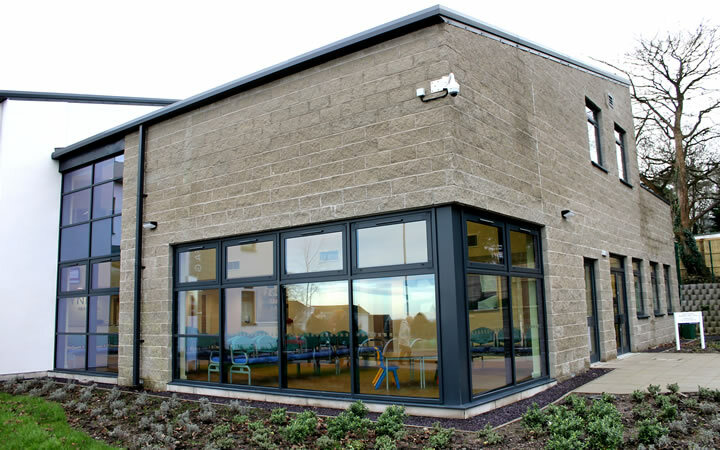 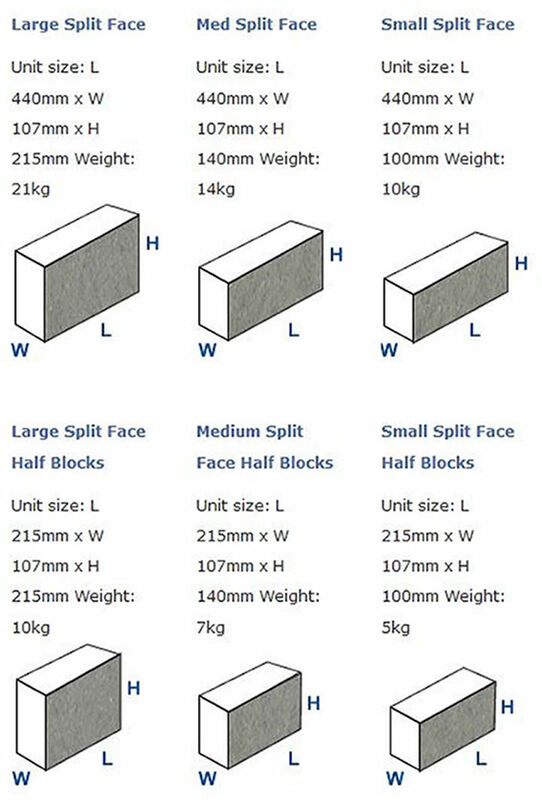 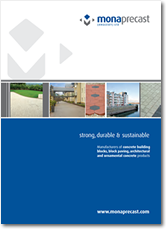 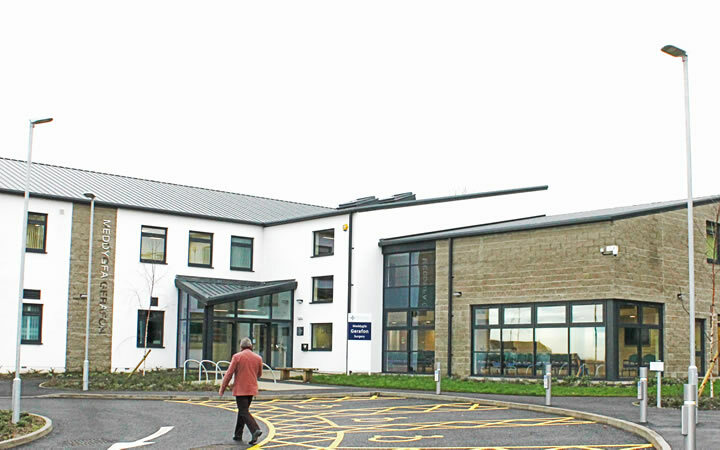 Split face walling blocks are an attractive, high quality product with a variety of uses. 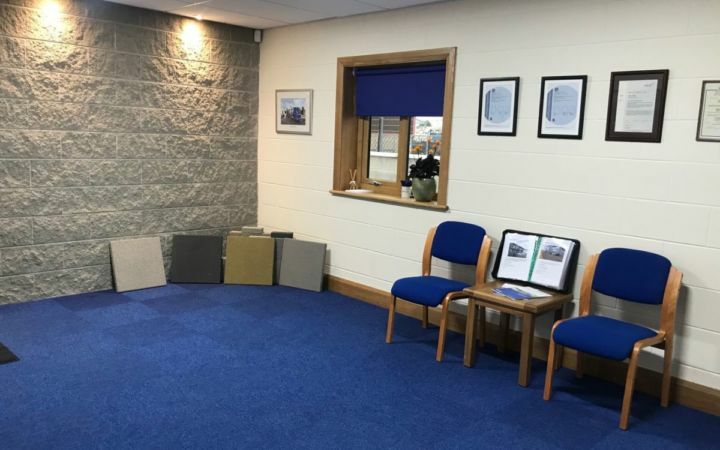 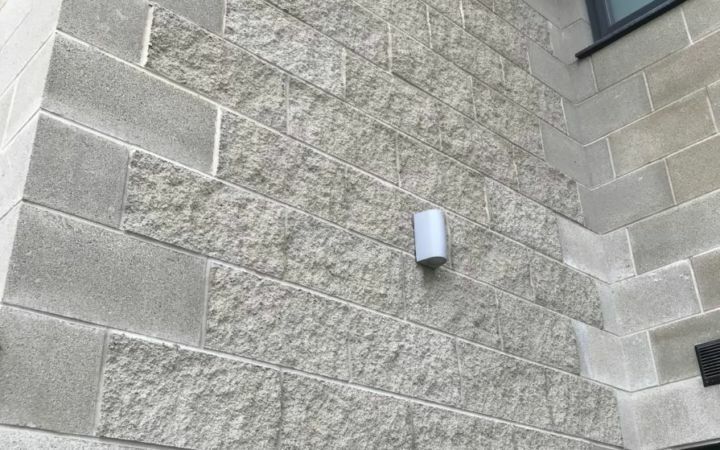 Their texture adds architectural interest to buildings, walls and landscaping and their versatility is enhanced by a choice of sizes available. 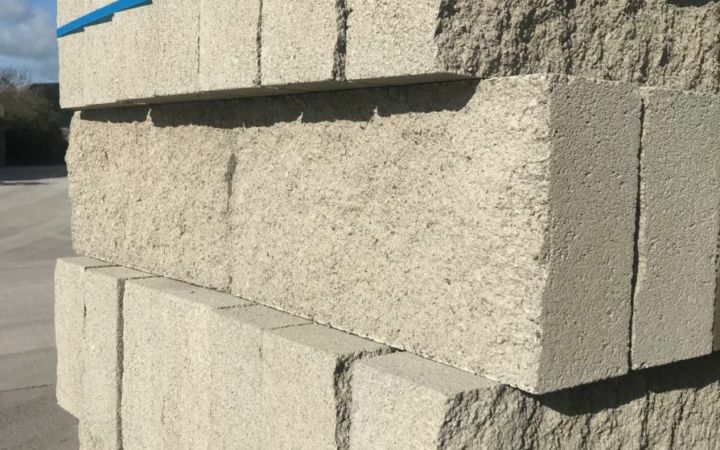 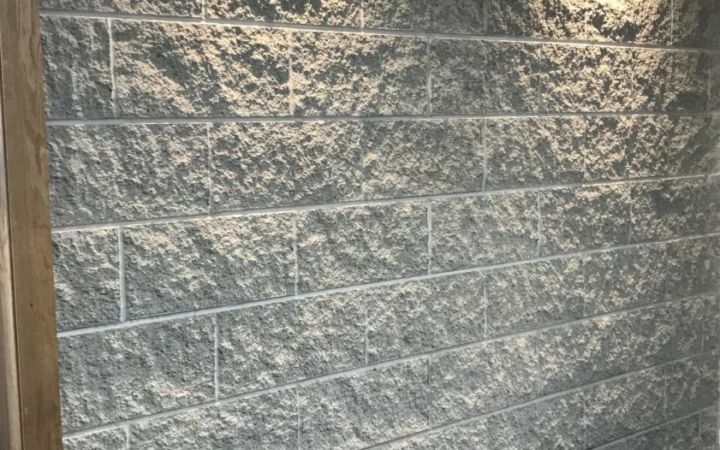 Split face textured blocks or rock faced blocks are manufactured using local natural aggregates that produce a very attractive light grey and buff colour. 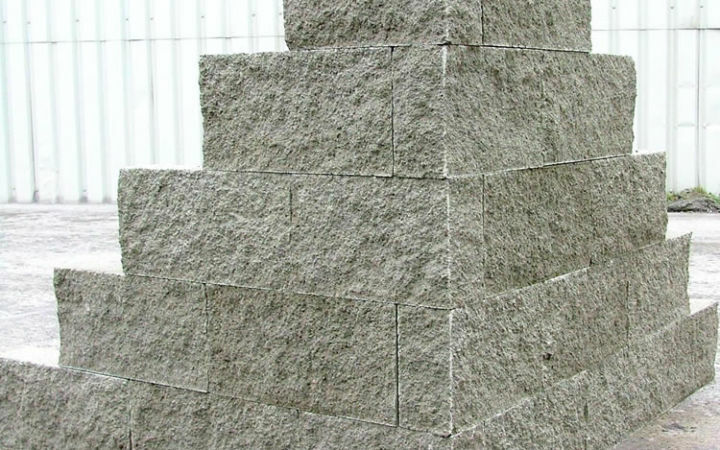 These split faced textured blocks are available in 3 different sizes. 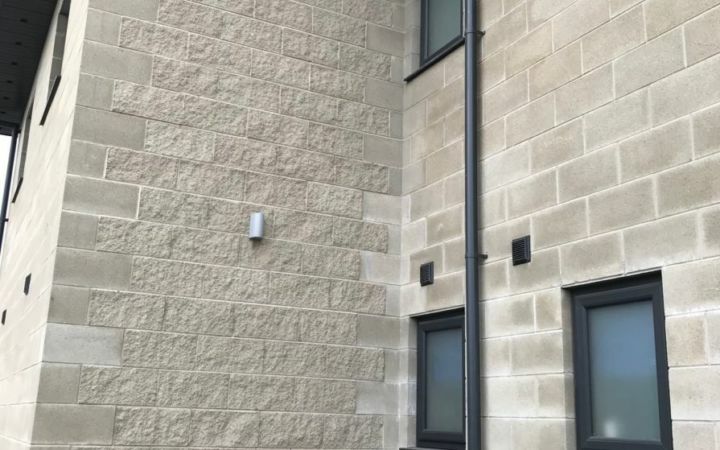 Corner Blocks (Quoins) are also produced to compliment this range.